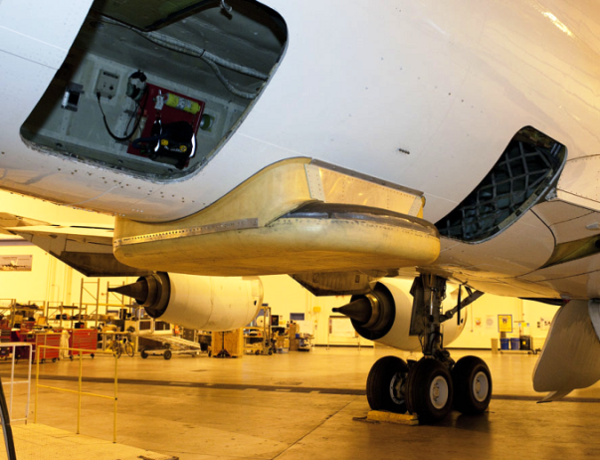 On Oct. 25, IceBridge was joined by U.S. Ambassador to Chile Alejandro Wolff and his Secretary for Economic Affairs Josanda Jinnette. Ambassador Wolff and Ms. Jinnette traveled from Santiago on Oct. 24 and attended IceBridge’s evening science meeting that day. The following morning, they sat in on the morning pre-flight meeting and after a short safety briefing they boarded the DC-8 for an 11-hour-long survey of the Ferrigno and Alison ice streams that empty into the Bellingshausen Sea. In addition to being a distinguished career diplomat, Wolff is interested in science, particularly in international scientific collaboration. “Science cooperation is an important part of the U.S. – Chile relationship,” Wolff said. 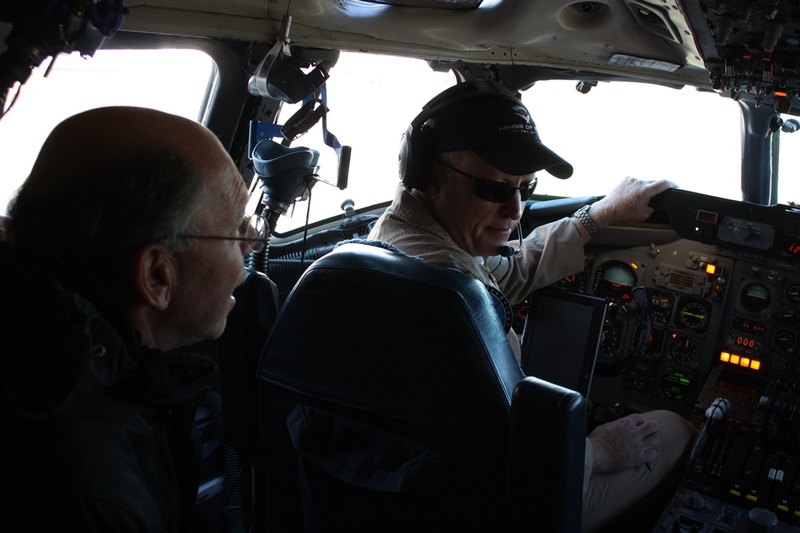 Although this was his first flight with IceBridge, this wasn’t the ambassador’s first trip to Antarctica. 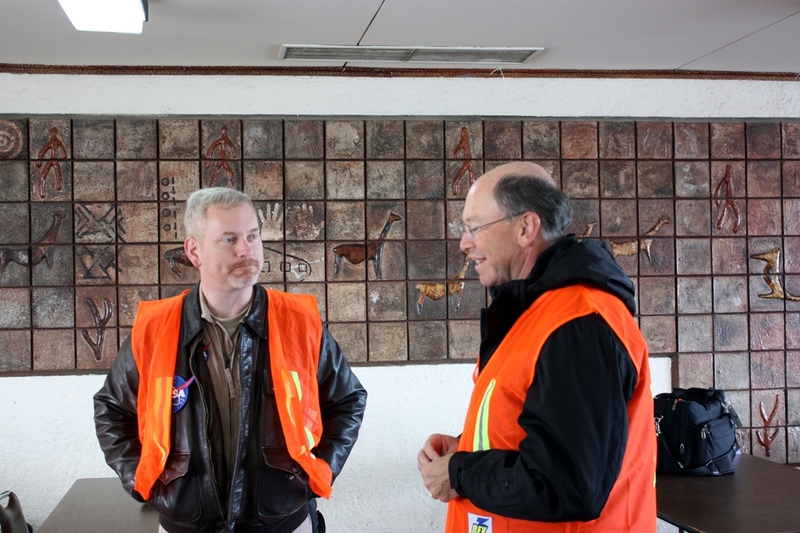 He visited Palmer Station years ago and says that while flying over the continent isn’t the same as being on the ground, it does give a better sense of its dimensions. If somebody had told me that 2012 would bring with it a deployment to Greenland, Chile, and possibly Antarctica, I never would have believed them. But here I am reflecting back on my three weeks in Kangerlussuaq, Greenland, as I pack for Punta Arenas, Chile. 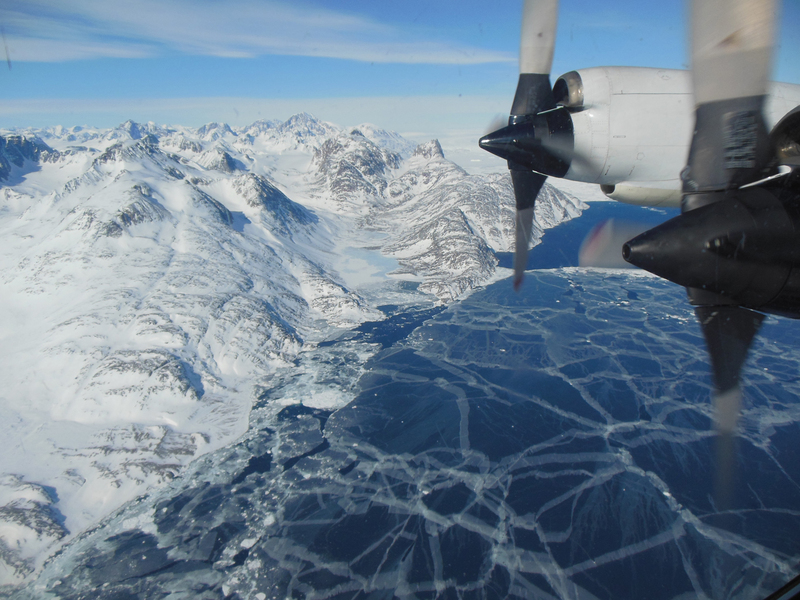 These experiences have been made possible by my new assignment as the project manager of a NASA airborne geophysical project called Operation IceBridge (OIB). I started full-time work with OIB this past March. What I truly enjoy about this project is the remarkably talented and extensive team I work with. As the project manager, I must coordinate and help lead a vast team of experts spread out across the country. This team includes polar scientists, instrument engineers, educational/outreach teams, logistics teams, data centers, and aircraft offices. I have to utilize good leadership and communications skills to help my integrated team work together smoothly to achieve a common goal and meet all of our science objectives. Twice a year, the OIB team travels to Earth’s polar regions to collect data on the changing ice sheets, glaciers, and sea ice. 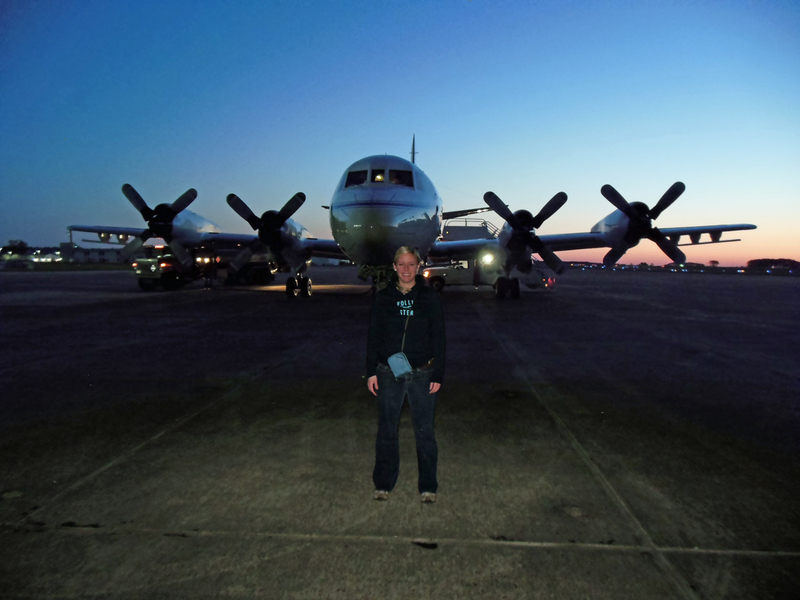 For the Arctic campaign, we use the P-3B 4-engine turbo-prop airplane at NASA Goddard Space Flight Center’s Wallops Flight Facility. It has been modified to carry nine different science instruments, including laser altimeters, which measure the different heights of the terrain from aircraft, and various types of radar systems that can actually penetrate the thick ice sheets. Just four weeks after I started as project manager, I found myself landing in a small Southwestern Greenlandic town called Kangerlussuaq. 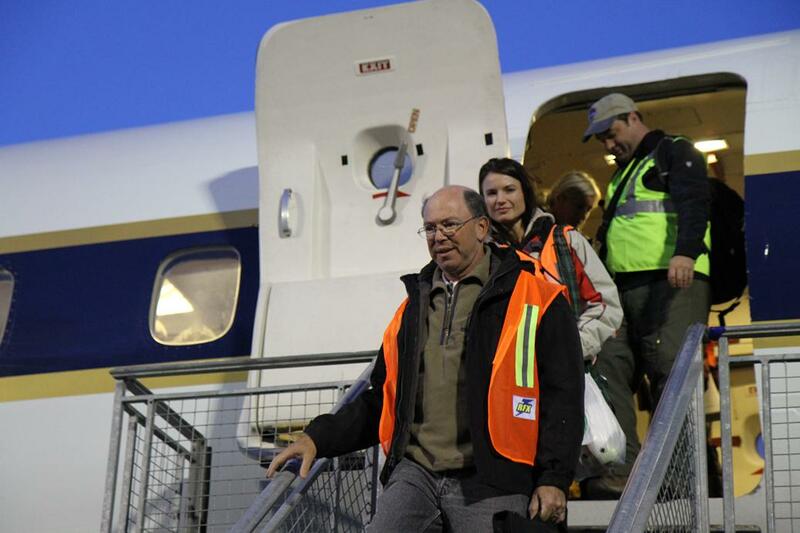 There was snow on the runway and everyone was bundled in coats. The majority of the buildings looked like military barracks. Most of the OIB team was already there, and they greeted me at the plane. At the time, I knew only one person, the project scientist, and we had only spoken a few times! What an adventure awaited me! 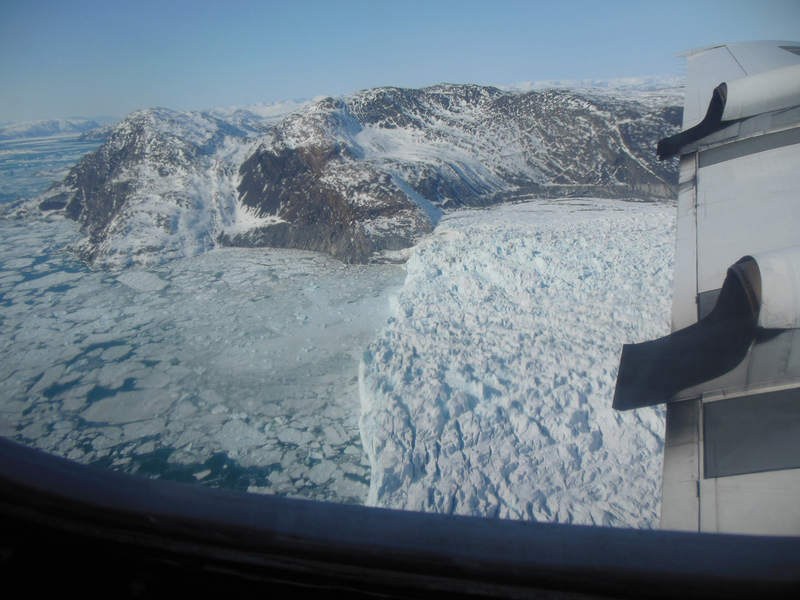 Each day, we flew at 1500 feet, seemingly scraping the surface of the massive Greenland ice sheet. I felt as though I could have touched it with my fingers if I had just stretched out my hand. It was beautiful. Watching the team work together like a well-oiled machine, for almost 8 hours at a time, was simply awesome. The pilots, the aircraft maintenance team, and the instrument experts, who collect gigabytes and terabytes of data per flight, collect the invaluable data that tells us what is happening at our poles, and how much the ice is changing each year. My second trip to collect data with the OIB team began last September. 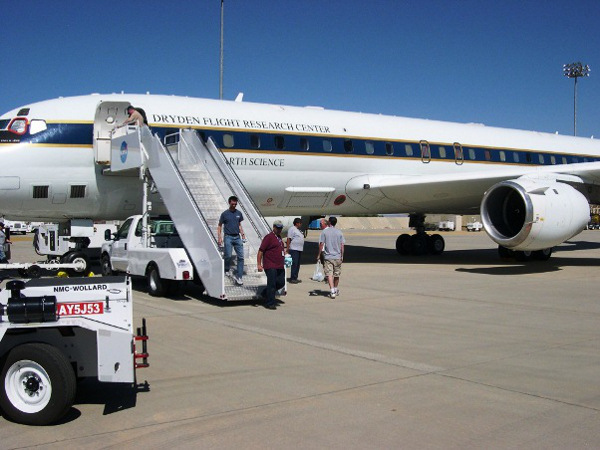 For the Antarctic campaign, we use NASA Dryden Flight Research Center’s DC-8 aircraft and operate out of Punta Arenas, Chile. During this Chilean campaign, we will actually fly from Chile, over specific science target regions in Antarctica, and then land back in Chile! That’s an 11-hour round trip flight almost every day! Isn’t this exciting? If you want to learn more about what I do and Operation IceBridge’s current Antarctic campaign, join my Google+ Hangout on Wednesday, October 17th from 1-2pm EST. I look forward to talking to you from Chile. 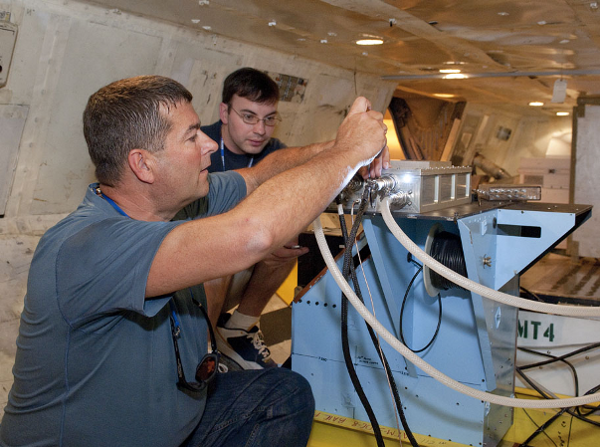 Editors note: This feature was originally posted on NASA’s Earth Science Week Blog. 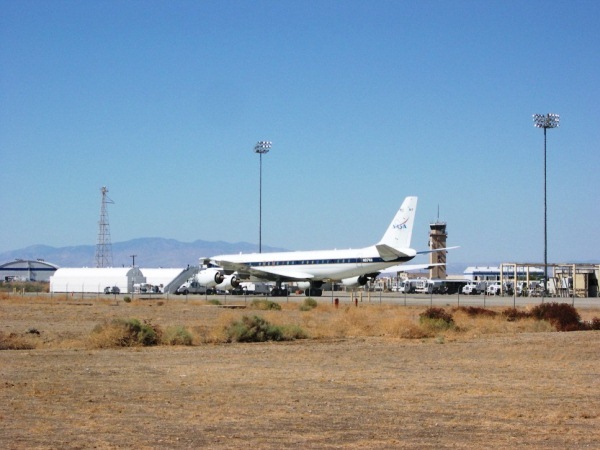 SANTIAGO, CHILE – Last night the DC-8 took off for a 10.7 hour long transit flight from NASA’s Dryden Aircraft Operation Facility in Palmdale, Calif., to Santiago, Chile. We took off shortly before midnight to arrive in Santiago at midday. 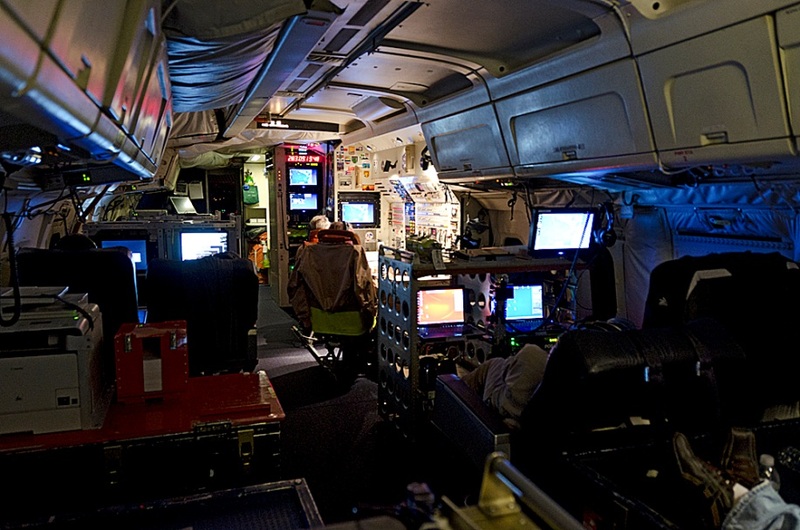 Flying through the dark of night meant the cabin of the DC-8 was mainly illuminated by the many computer screens, creating an unusual view for the instrument teams who are used to flying science missions during daylight. The 10.7 hour long transit flight puts things into perspective. The distance from Palmdale, in the Mojave Desert, to Santiago is 5,761 miles (9,271 km). This is 2.3 times the distance between Los Angeles and New York City. 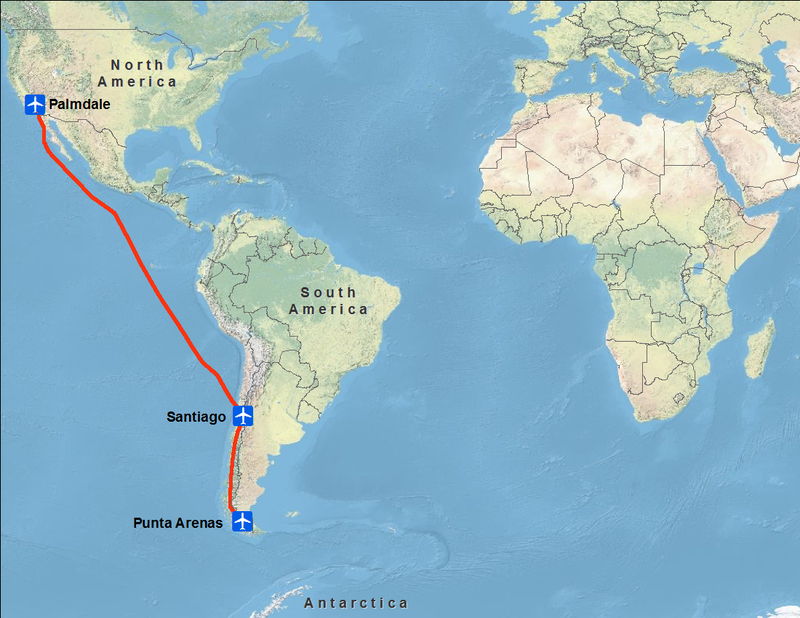 Tomorrow morning we will continue our flight to Punta Arenas at the southern tip of Chile, which will be our base of operations for the coming weeks for sciences flights over Antarctica. In total we will have traveled 7,292 miles (11,735 km) from Palmdale. The map below shows that we have traveled a long way around the globe. Our flight takes us over the Pacific Ocean along the coast of Mexico heading towards Galápagos Islands and continuing along the coast of South America and into Santiago, Chile. 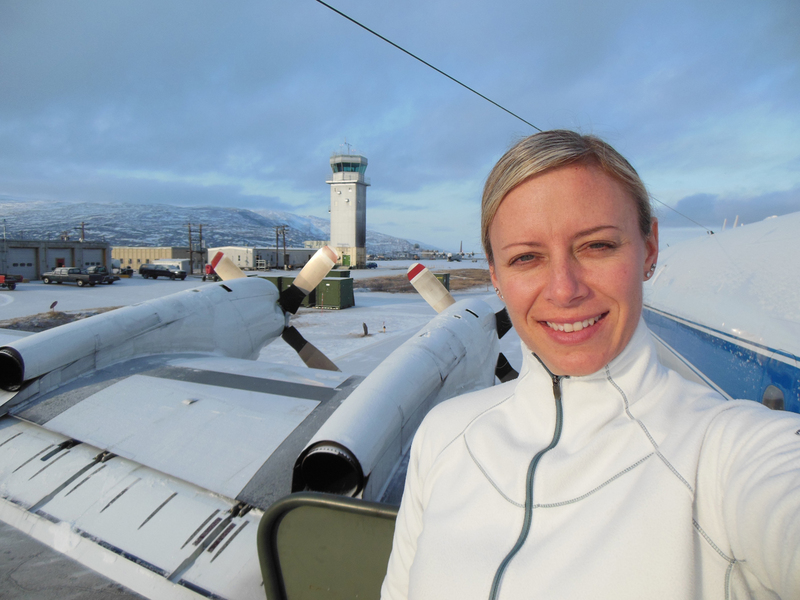 The transit flight also reminds me about the large distance that we cover during each of our Antarctic science flights. A typical science flight is 11 hours long and we routinely travel a distance that is longer that the trip from Los Angeles to New York and back. The long legs of the DC-8 allow us to reach scientific targets in Antarctica that have been, and still are, a challenge to survey. I have to remind myself on every flight that we are collecting data that would be very challenging to get if we did not have the DC-8. Tomorrow morning we will continue our flight from Santiago to Punta Arenas, to set up there, installing base stations and data processing computers, and will then start flying science missions over Antarctica to collect data. 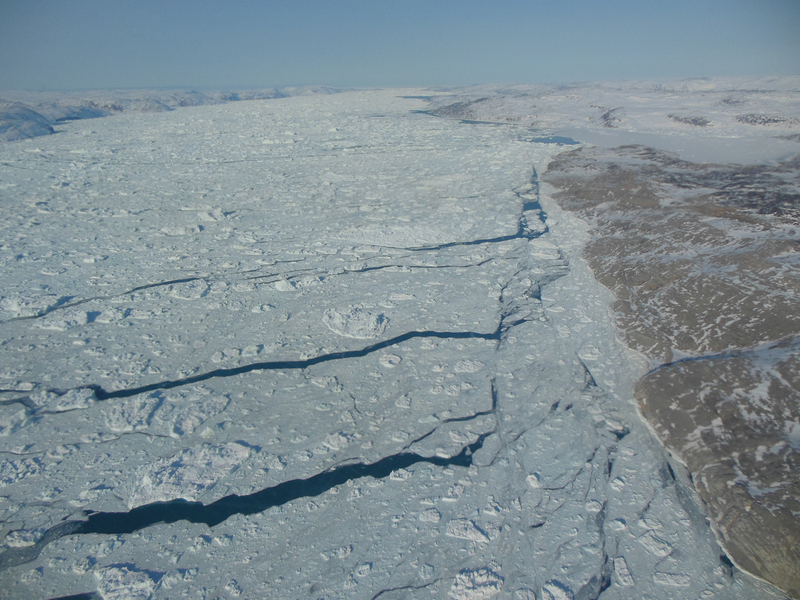 Coming back year after year it is interesting to see the changes in the sea ice and glaciers and ice sheets over time. 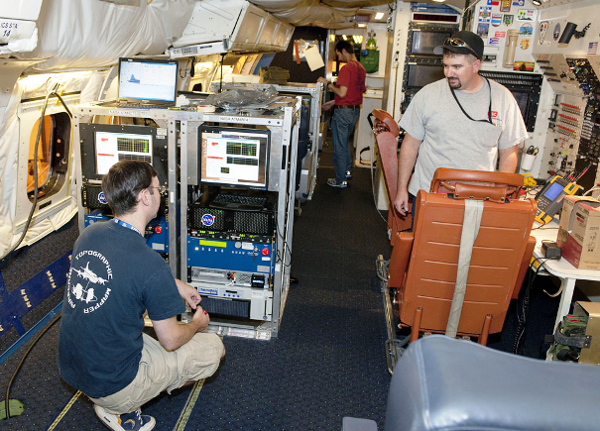 Before the instruments aboard NASA’s Operation IceBridge fly over Antarctica in October to collect polar ice data, they will be tested over an unlikely ice substitute: a series of sites in the Mojave Desert. 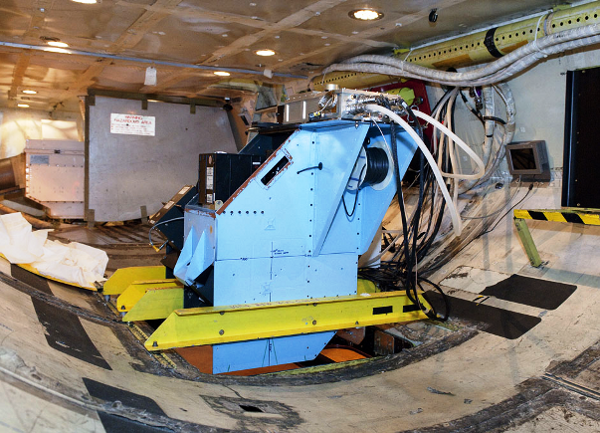 The instruments that are part of IceBridge—a six-year flight mission designed to study ice at the Earth’s poles and bridge the gap between the two ICESat missions —are put through test flights every year to ensure they’re functioning properly. This year, instruments like the Airborne Topographic Mapper (ATM) will use three separate sites in the California desert as a dress rehearsal for one of the real mission flights. While it might seem counterintuitive to use a desert to simulate land filled with ice, ATM scientist John Sonntag said the area’s land features and reflective sand produce a similar landscape. “The variety of terrain and surface reflectance over these lines will allow us to adjust the ATM for a wide variety of targets, thus increasing the reliability of the system once we get over Antarctica,” Sonntag said. The IceBridge mission scientists aren’t the first to use the dry, sandy area to portray its icy counterpart. 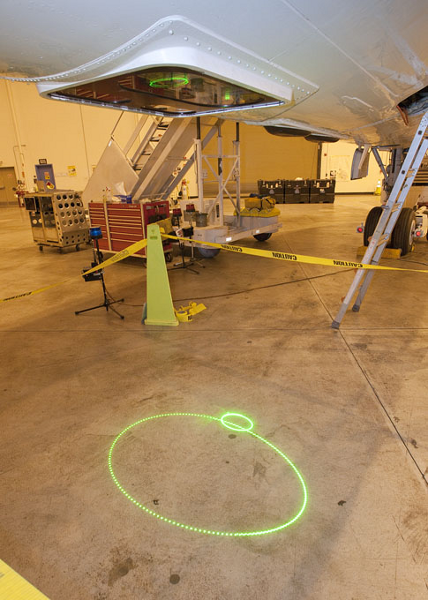 Sonntag said the test flight would be using some of the same tracks used during test flights of the ICESat mission as a way to compare measurements. 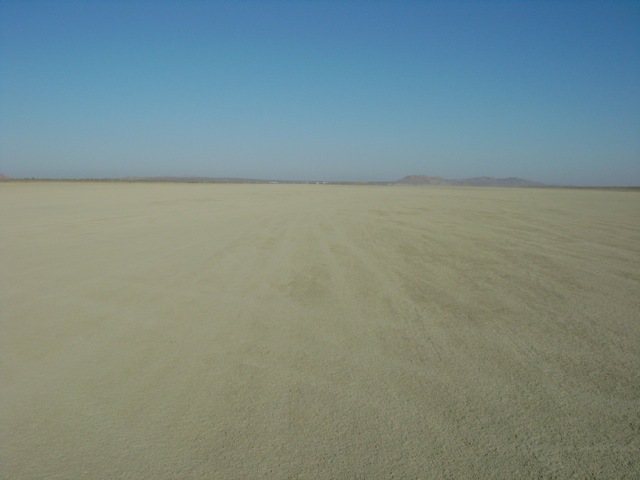 One of the desert features that will be used in the test flight is the El Mirage dry lake, which Sonntag said is frequently featured as a scenic backdrop in both movies and car commercials. 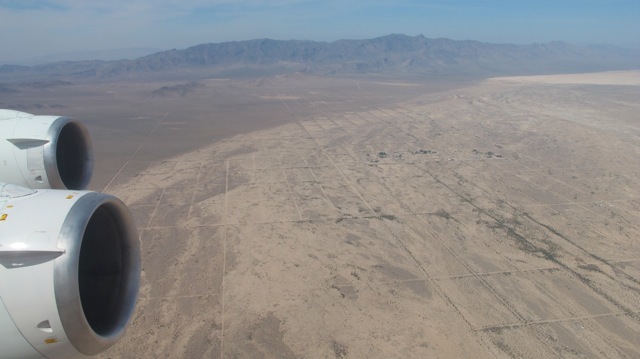 “El Mirage is a nearly ideal site for doing these laser calibrations because it is large, relatively flat, completely unobstructed by overhead features such as power lines and light poles, and has a bright laser reflectance similar to snow and ice,” Sonntag said. While it would be more ideal to use actual snowy surfaces to test the instruments, ATM program manager James Yungel said the easy access to sand regions outside both the NASA Wallops Flight Facility and the Dryden Flight Research Center made it the next best thing. 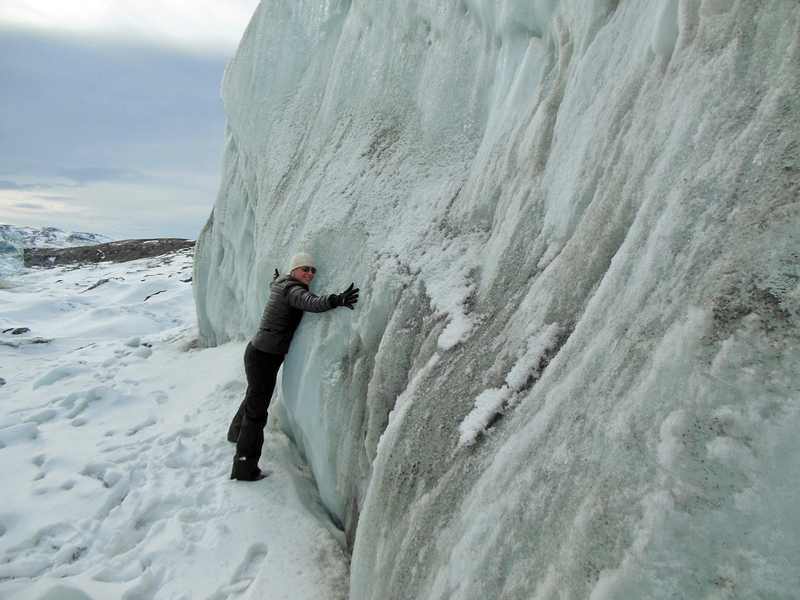 IceBridge project scientist Michael Studinger said the fact that the scientists know the desert sites well makes them a popular spot for adjusting the instruments to measure ice. IceBridge conducted two equipment checkout flights, one over the Pacific Ocean on Oct. 2 and one over the Mojave Desert on Oct. 3. 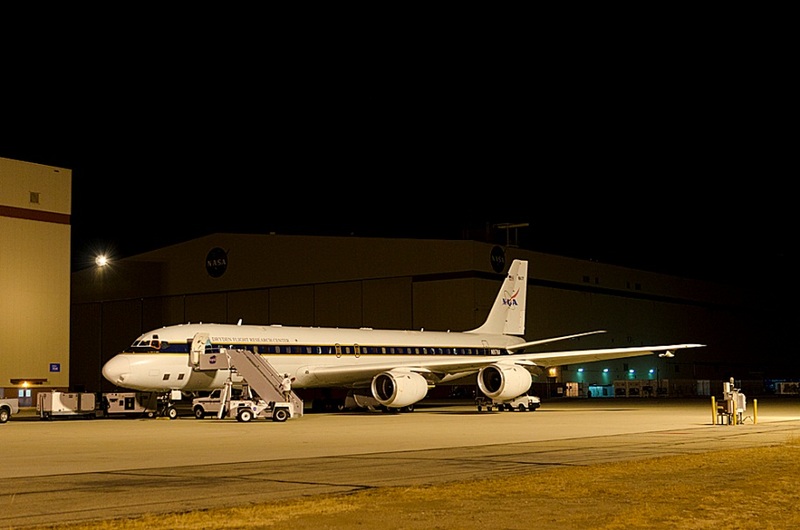 The IceBridge Antarctic campaign is scheduled to begin with its first science flight on or about Oct. 11, 2012.